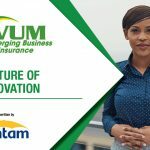 VUM Taxi Insurance is passionate about the safety of the people in South Africa. This article shares the facts about speeding and the danger it causes! International experience shows that as speeds reduce, the road toll goes down. Research shows that a 1 km/h reduction in the average speed can produce up to a 3 percent reduction in injury crashes. Rural roads: Research has demonstrated that there will be twice as many fatal crashes when the average speed on rural roads is 120 km/h, than when it is 100 km/h. There are three times as many fatalities in a crash when the average speed is 130 km/h. Between 1987 and 1988, 40 states in the United States of America raised the speed limit on interstate highways from 55 m.p.h. (88 km/h) to 65 m.p.h. (104 km/h). This resulted in an increase in average car speeds of about 3 m.p.h. (5 km/h). Over the same period, there was an increase in fatalities on these roads of between 20 and 25 percent. During the 1973 fuel crisis, the New Zealand government reduced rural speed limits from 55 m.p.h. (88 km/h) to 50 m.p.h. (80 km/h). Because of concern about fuel shortages, many people complied with the new speed limit: there was an 8-10 km/h reduction in average rural speeds. This led to a significant drop in the number of injuries on these roads. In Australia, the speed limit on Melbourne’s rural and outer freeway network was increased from 100 km/h to 110 km/h in 1987, and then changed back to 100 km/h in 1989. The injury crash rate was compared with a ‘control group’ (an area where the speed limit remained the same). It was found that the injury crash rate per kilometer traveled increased by 24.6 percent following the change from 100 to 110 km/h, and decreased by 19.3 percent following the change back to 100 km/h. The severity of injuries sustained by a pedestrian hit by a vehicle is clearly related to the impact speed. The risk of death increases dramatically at speeds from 40 to 60 km/h. 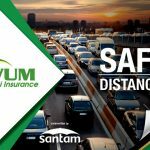 For example, the likelihood of death for a pedestrian hit at 40 km/h is approximately 30 percent, while the likelihood of death for a pedestrian hit at 60 km/h is around 90 percent. The risks for vulnerable pedestrians, such as the elderly and young children, are even higher.